This short documentary is produced by BSC in the framework of CompBioMed Centre of Excellence. 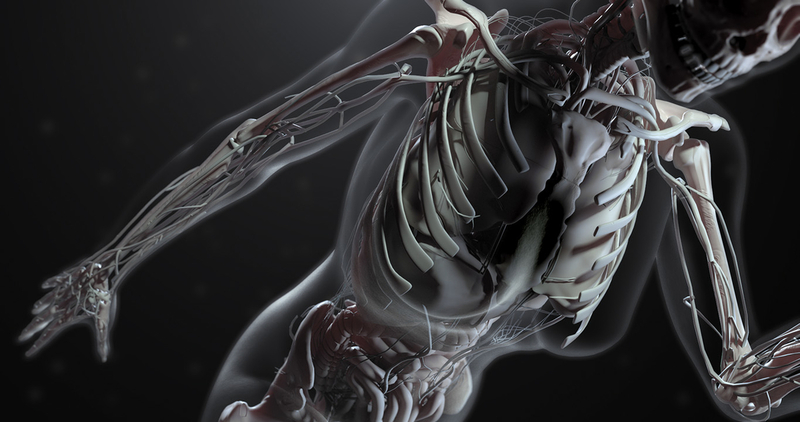 Barcelona Supercomputing Center (BSC) in the framework of CompBioMed H2020 Centre of Excellence in Computational Biomedicine, led by University College London, has produced a short film showing the possibilities of using High Performance Computing (HPC) to delve deeper into the processes taking place within the body. The “Virtual Humans” film was premiered at the London Science Museum on September 27th 2017 to a sell-out audience and was followed by short presentations by four of the contributors to the research. The audience was then invited to ask questions to them in a Q&A session compered by Director of the Science Museum, Roger Highfield. Since this highly successful event, the film has gained in exposure and popularity, being shown at various science film festivals and private viewings within conferences and invited presentations. Most notably, it was shown at the Imagine Science Film Festival in New York (15th October 2017) and more recently selected for showing at the Academic Film Oloumoc in the Czech Republic in which it has been shortlisted in the shorts category. This will take place in April. We are also running an event featuring the film at the Cheltenham Science Festival (5-10 June), similar to the event at the London Science Museum. Today, it takes place the general release of the video through three different institutions: BSC, CompBioMed, and London Science Museum, via our Youtube channels. While doctors dream of one day perfecting medical treatments on digital clones of a patient, virtual organs are already being simulated in supercomputers. Virtual Humans is a short documentary produced by BSC researchers Guillermo Marin and Fernando Cucchietti that describes the achievements and goals of researchers trying to recreate a human inside a computer. Through accurate scientific data visualizations, Virtual Humans gives us a glimpse of this truly personalised medicine of the near future, and its long term implications for our healthcare and our lifestyle. CompBioMed project is a centre of excellence in biomedical computing that promotes the uptake and exploitation of high performace computing (HPC) in the field of biomedicine. University College London is leading the initiative, which promotes interdisciplinary business opportunities by getting its industrial partners to participate, as well as support and facilitate modelling and simulation activities and provide education to a diverse set of communities. BSC is one of the partners of the project.